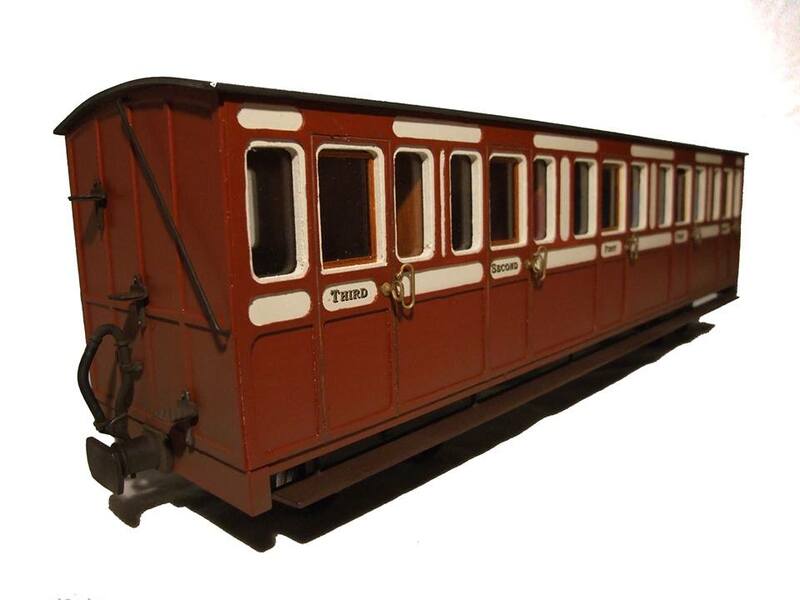 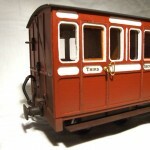 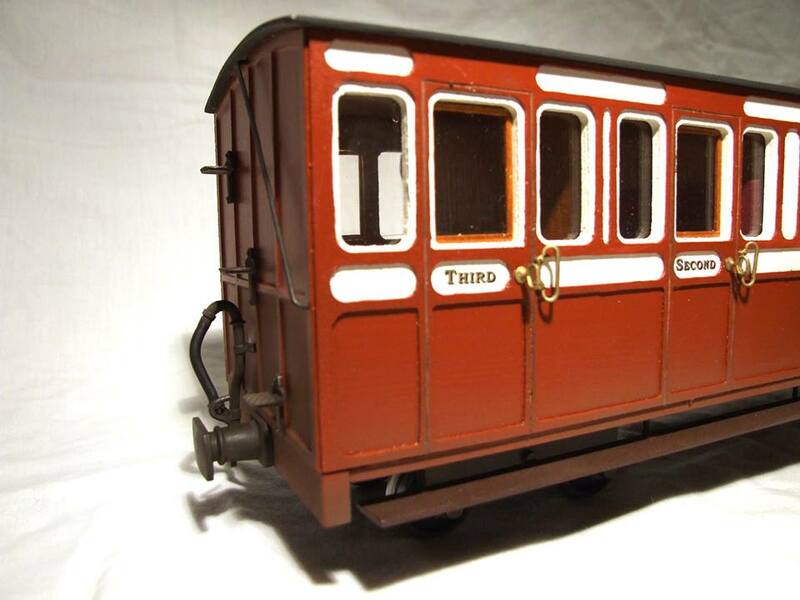 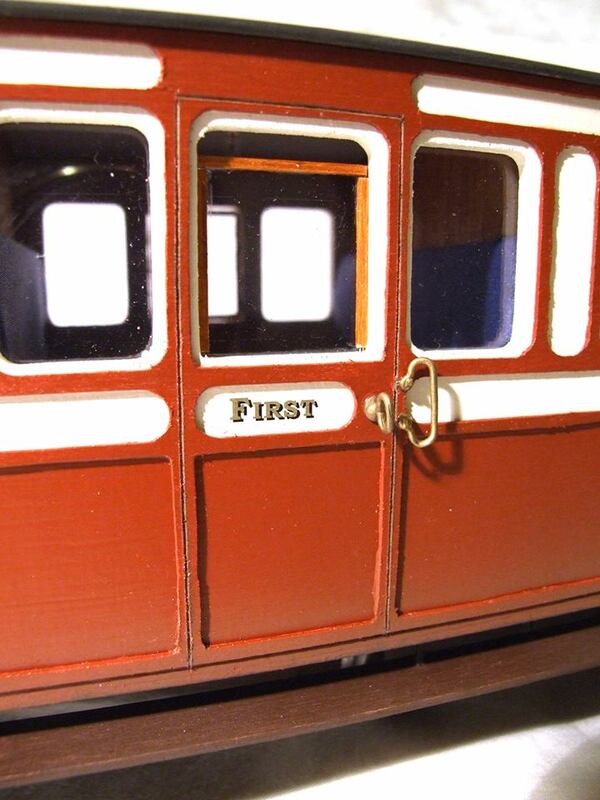 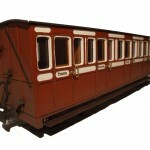 Here we have a lovely set of 45mm Brandbright wooden kit built narrow gauge victorian carriages. 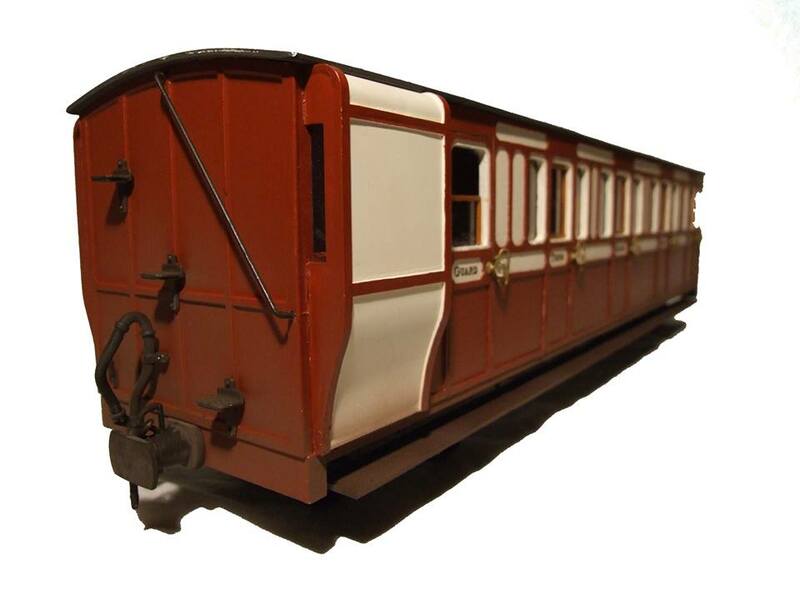 These freelance coaches give a very turn of the century (1900)’ authentic look and are sized to match the usual size of 16mm locomotives. 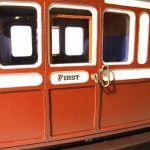 Construction is of layered laser cuts. 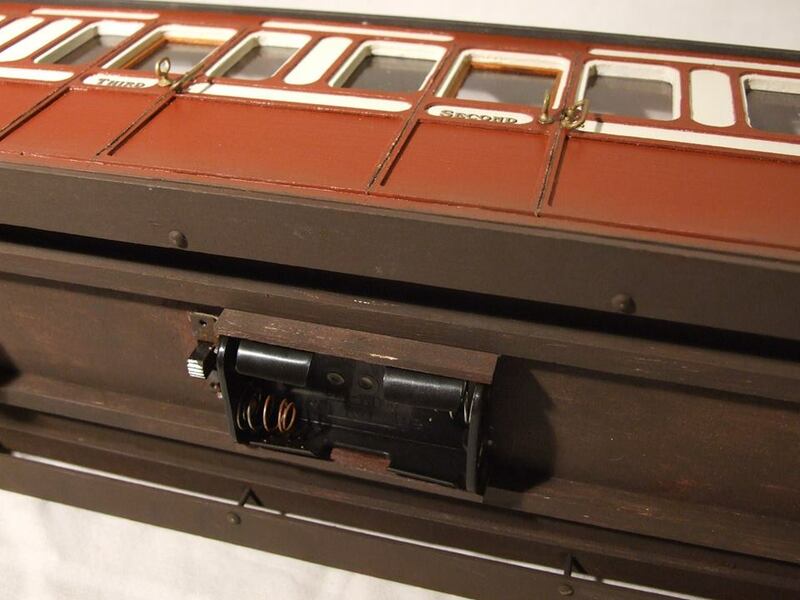 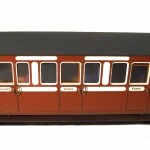 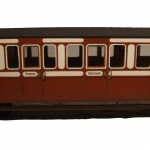 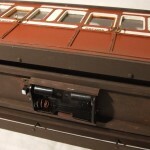 There are 4 in total, 2 x PS19 and 2 x PS20 premier panelled coaches complete with interior lights powered by AA batteries. 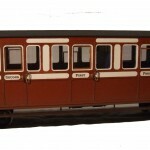 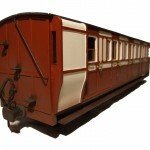 All have cloth covered seats, burgundy for 2nd class, blue for 1st and plain wood for 3rd , and all come with the white metal casting details of steps and vacuum pipes.